We've scoured the show floor to find the most exciting new games and technology, and present our picks for the Best of E3 2013. On the verge of a new console generation, E3 2013 promised to deliver a number of big unveilings, a few surprises, and plenty of great games. It certainly didn't disappoint on that vision, with new consoles announced from Microsoft and Sony, Nintendo showing off a huge slate of top tier Wii U games, and a wealth of outstanding new games and technologies from publishers and developers around the world. Our annual E3 awards recognize excellence across various aspects of gaming, including special achievements such as visual fidelity and artistic style, awards recognizing achievement in a specific genre, and overall game of the show on each platform. During the three days of E3, our team searches the show floor for the most innovative, cutting edge games and technology, and discuss for hours to narrow down the field. After plenty of debate, we present the winners of the GamingExcellence Best of E3 2013 awards. Combining style, fun gameplay, and a unique usage of the Playstation Vita’s various features, Tearway is definitely something we were looking forward to seeing at the show. 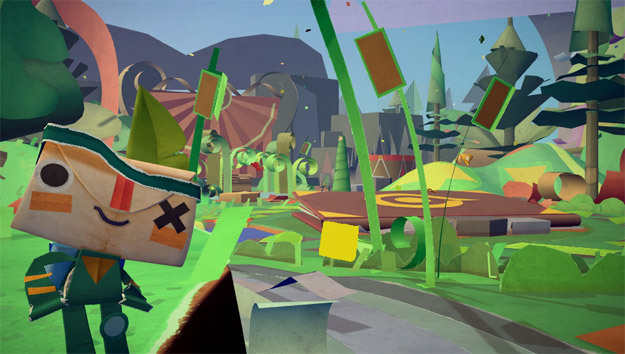 Taking place in a papery world, Tearaway lets you interact by doing things like bursting through the back of the world with your finger by tapping the back of the PS Vita’s screen, really bringing the landscape to life. It’s a fun adventure game that everyone can look forward to downloading in the future. The Killzone series has always been a graphical powerhouse for Sony consoles and it is no different with Shadow Fall. From the glorious vista we first saw when flying over Vekta City, the cityscape was downright breathtaking. Watching waterfalls pour over the edges of buildings; stunning. And then when it turns to the hellish nightmare courtesy of a Helghast attack, it quickly becomes obvious that this and the before scene was all happening in-game. The engine Guerrilla Games is using is what people want to see in next generation consoles. 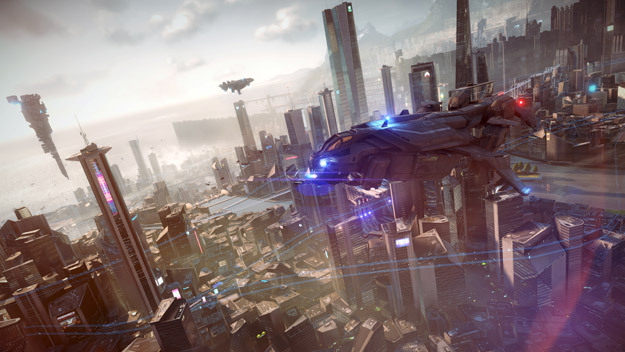 Killzone: Shadow Fall is some of the best graphics we have ever seen in a video game and this is only the beginning of what we are in stored for with the PS4. Is it a video game or a television episode? 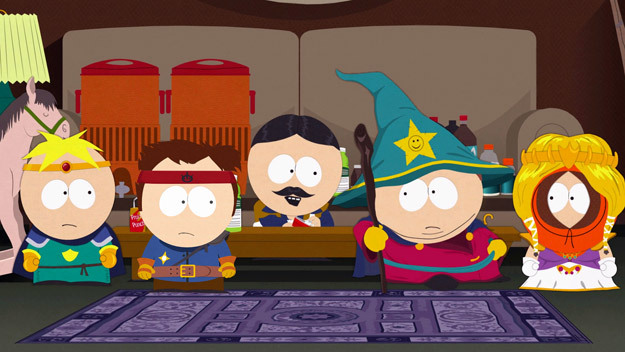 South Park: The Stick of Truth may seem like an odd choice for this award, but the time and detail Obsidian has put into the visual style of the game is astounding. The game is among the most faithful reproductions of any cartoon series we've ever seen (the Naruto series being another good candidate), everything from the character movement (the South Park "waddle"), and overall animation lives and breathes South Park. Santa Monica Studios and Ready at Dawn are teasing a whole new world and we want to see it unfold. With the debut trailer for The Order: 1886, we got a brief taste of what we could be in store for; A bygone era that has been reimagined with futuristic steam punk technology and shadowy monsters are some of the things we will be seeing with this PS4 exclusive. While we didn’t see any gameplay in the trailer, we are already hooked and can't wait to see how encompassing this new universe will be. We first recognized ViviTouch's haptic rumble technology last year, and were yet again blown away by their offering and development since then. For those unfamiliar, ViviTouch designs a form of variable pulse motor which could be embedded into controllers, and a toolkit to integrate this technology into the games (and engines) themselves. What this ultimately means to a gamer is extremely dynamic rumble technology, which can change patterns based on any variety of factors (such as the type of surface your character is walking or driving on, the kickback of the weapon their firing, etc). Applied to a driving game, it could really enhance the feel of the simulation, given that driving is as much by feel as it is by seeing. While still in it's infancy, we'd love to see this highly immersive technology adopted as part of a controller for either PC gaming, or by one of the next-generation players. The form factor of a MacBook Air, and the horsepower of a high end gaming PC. How is this possible? I have no idea, but Razer has managed to do just that. These technological marvels were on display at E3 this year. 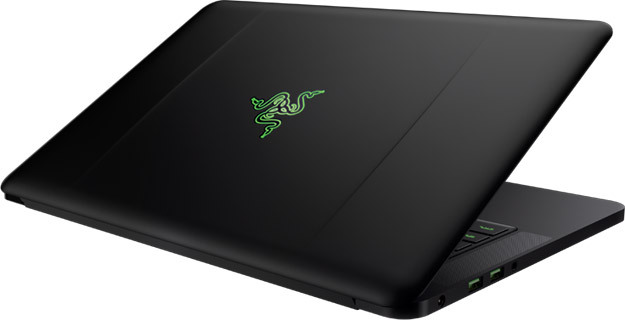 They come in at a ridiculous 0.66 inches thick (less than the width of a dime), yet are able to play newly released games at on or near full detail settings, Razer has redefined what is possible to pack into a laptop, and while they aren't cheap, they are certainly the most powerful gaming machine we've ever seen in this form factor. Welcome to the high seas, Assassin's Creed style. In Black Flag, the Caribbean is open to you to explore and plunder, and it blends perfectly with the Assassin’s Creed gameplay. 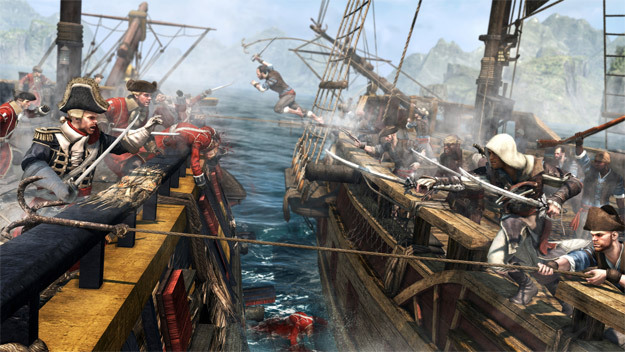 Allowing you to transition seamlessly from running around a pirate town, to pirating a boat across the sea, to forcefully boarding another boat and taking it as your own, Black Flag is setting itself to be the best Assassin’s Creed game yet. There is no question that this was one of the most impressive titles at the show, and something we're drooling in anticipation for later this year. Bethesda’s games have always been impressive for their scope, but one of the greatest complaints has been the inability to enjoy this with friends, to travel across the world of Tamriel with others. 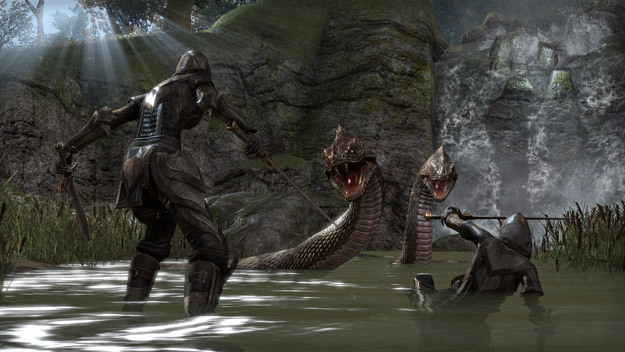 The Elder Scrolls online looks to fix this, and though we didn’t get as much time as one needs with MMOs, it’s clear to see that this is more than just a two-dimensional MMO filled with fetch quests galore. With actual characters, plots, and tasks that involve more than just killing wolves and collecting hides, The Elder Scrolls Online was definitely the most impressive MMO at E3 this year. Donkey Kong Country on the Wii U is just hands down a lot of fun. 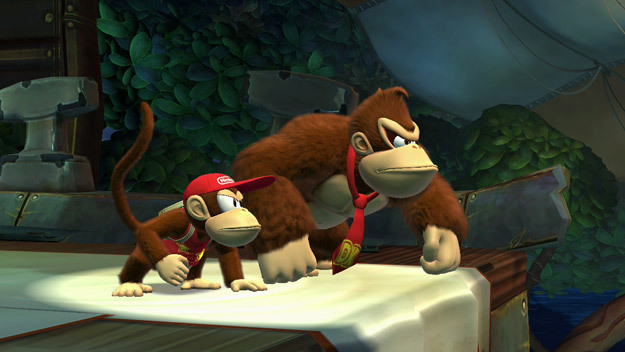 Tropical Freeze is everything we loved from Donkey Country Returns with the added bonus of being in high definition. Donkey Kong Island has never looked better and looks spectacular traveling in a mine cart in 2D side scrolling platforming within a 3D backdrop. Playing alone is fun, but playing with a friend is just downright a thrill ride. Working in tandem with your friend can be a great amalgamation of teamwork or will have you screaming at each other, but you will never stop having fun either way. 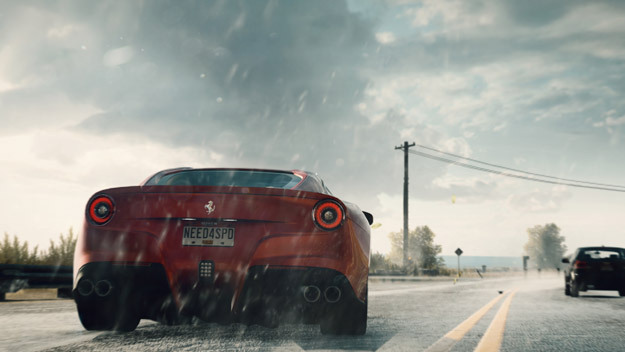 On the street, a race can happen anywhere at anytime and that is what Ghost Games is trying to nail home with Need for Speed: Rivals. The instant transition from driving around Redview County to a heated race with a rival thanks to the new All Drive system is thrilling. Toss in the aspect of constantly on the run from the law and the intensity just goes up exponentially. It forces players to be ready for any occurrence. Also, with the inclusion of smartglass technology, Need For Speed: Rivals is shaping up to be an epitome of racing for the next generation. The Witcher 2 impressed people when it came out, but CD Projekt RED wasn’t content to stop there - The Witcher 3: Wild Hunt looks like a supercharged Witcher 2, with a huge world to explore, characters to meet, monsters to kill, and choices to make that are never just about picking the good or evil option. Even hunting down a monster felt deeper, as you track its marks and discover how to best exploit its weaknesses. Everything looks improved, with added depth to the mechanics and world, and there was no question that it stood out as the best RPG on display at E3 this year. 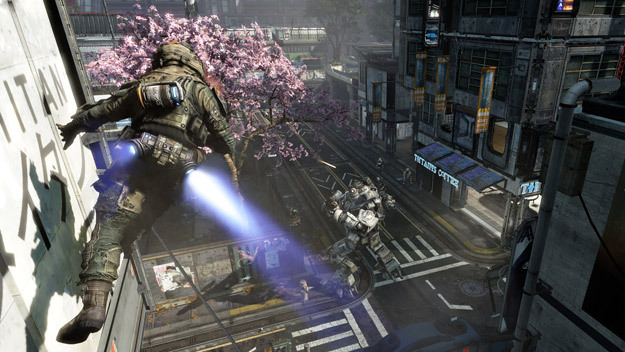 Respawn Entertainment has come out of the gate swinging with their first title Titanfall. The game has already set itself up to be very ambitious with a multiplayer-focused shooter. However, what separates the title from the rest of the shooters are the Titans themselves. These big behemoths are amazing to watch deal out damage with their guns and ability to reflect ordinances back at enemy Titans. To make matters even better, you don’t even need to be in a Titan for it to even fight. It is these reasons and a slew of more that make it the shooter to watch for in 2014. Relic is bringing the Eastern Front to the Company of Heroes franchise, and despite the game's transition from THQ to SEGA and slipping the release date, still manages to stand out as one of the best games at the show. With new weather dynamics that heavily impact the gameplay (such as frostbite, line-of-sight, and ice), it looks like the already strategy-filled gameplay of Company of Heroes is going to get even deeper, forcing you to make serious tactical choices about how and when to attack. 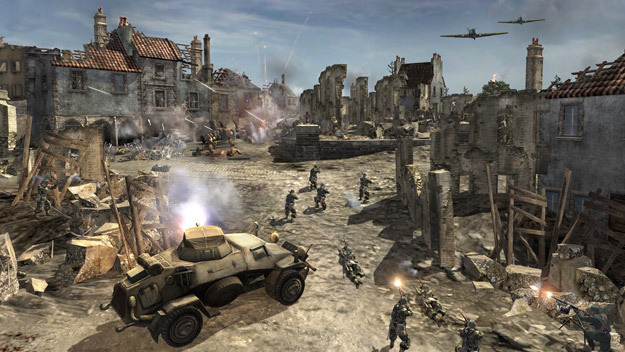 As the sequel to one of the best strategy games of all time, it isn't a huge surprise to see Company of Heroes 2 shine. It’s hard to match a PC when it comes to real-time strategy games, so to see that our favourite PC game at the show was a real-time strategy title in one of the most critically-acclaimed of the genre shouldn’t come as much of a surprise. 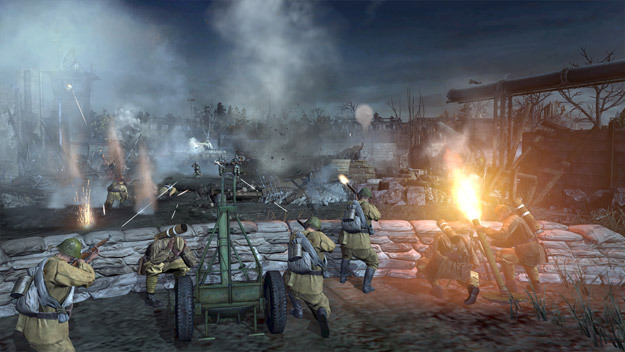 With deeper mechanics and a more interesting plot, but with all the core gameplay you’d expect from a sequel, Company of Heroes 2 definitely stood out as the best game that you’ll only be seeing on your home computer. 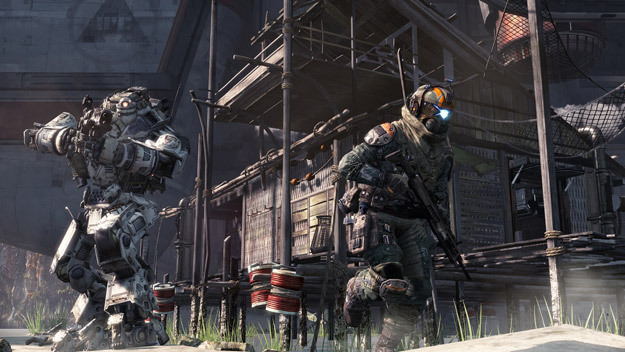 If you thought the Titans alone were the only thing that could be a force of destruction in Titanfall, then you need to spend some time as a soldier in the game. These guys can run off walls making for some of the most agile first person shooting gameplay I have ever seen, have a slew of sophisticated weapons and can single-handedly take down Titans WITH EASE! Not only that, but running on sixty frames per second, Titanfall looks downright great. While some may be skeptical to pick up an Xbox One, this game is a reason you need Microsoft’s next gen console. 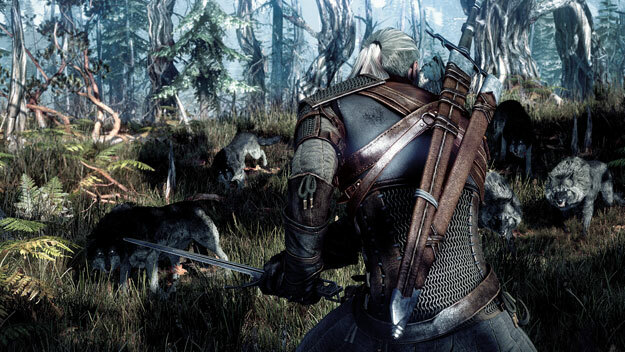 The Witcher 3 is really set to expand the scope of Geralt’s adventure. No matter which console you check it out on, it really looks like it’s going to be one of those games that gamers cite as a next-gen title, with a huge, beautiful world and characters with some actual depth. Whether it’s on the PlayStation 4, Xbox One, or your PC, there’s a lot of evil monsters to take down and only one man for the job. If you do not have a Nintendo 3DS yet, then the new Legend of Zelda will be the the reason to pick one up. The true successor to A Link to the Past, A Link Between Worlds gives us everything we loved about the first game and vastly expanded upon it. Thanks to the 3D technology of the 3DS, dungeons have an entirely new scope to them that we have never experienced in a handheld Zelda. 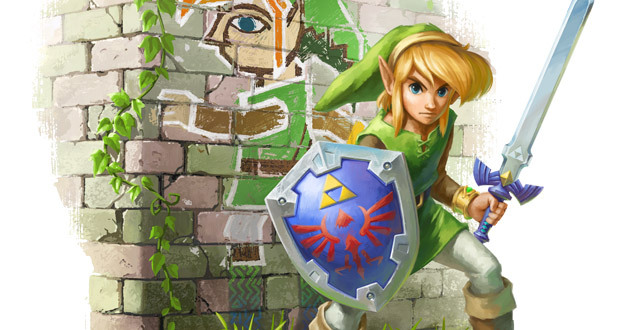 We may have gone through Hyrule countless of times, but A Link Between Worlds makes us want to do it all over again. 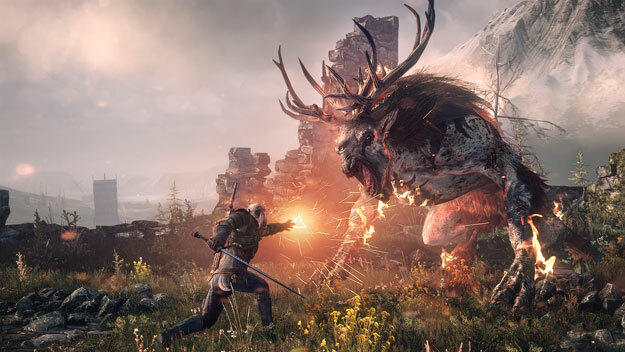 It’s hard to believe that the game that was once just being run on the same engine (albeit heavily modified) that ran Neverwinter Nights could be even considered for Game of the Show, but The Witcher 3: Wild Hunt absolutely blew us away. It’s the sort of RPG that echews simple black-and-white moral choices, forcing you to look at the options and pick the one that you feel is the best, not necessarily the one that will give you the greatest rewards, or raise some arbitrary relationship score. From just the glimpse of the gameplay that we were afforded, it’s easy to see that there’s a lot to the world and its people, even when it comes to the monsters you’ll have to face, whether they’re bursting out of the underbrush or you’re hunting them, following their destructive tracks through the forest. With a large world to explore and any number of ways to get around it. 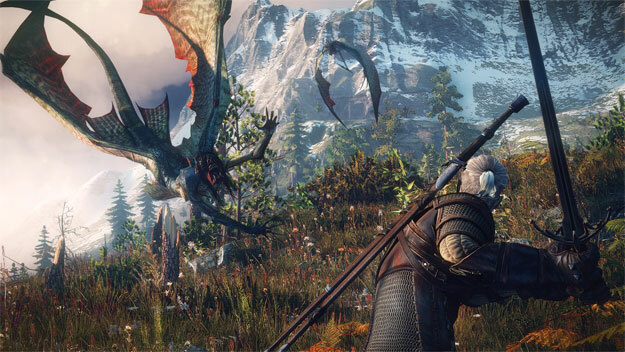 The Witcher 3 just blows the scope of the Witcher 2 out of the water, in more ways than one - and it’s pretty clear that anyone who enjoyed that title will have a whole lot more to look forward to in Geralt’s saga,when Wild Hunt comes out early next year. Thanks to Nicholas Bale, Chris Moore, and Shawn Snider for their contributions to this feature. Award artwork, for web and print, is available for download here.